Home Tags Articles tagged with "Central Arizona College"
Central Arizona College invites organizations and businesses to participate in the fourth annual Job Expo hosted by the institution’s Maricopa Campus, 17945 N. Regent Drive, on Feb. 12, 10 a.m.-1 p.m. This annual event provides a unique opportunity for employers to have direct access to educated, adult students. A nominal fee of $30 will be assessed to each for-profit exhibitor and the fee for government and non-profit organizations is $20. Each exhibitor will be provided with a table, a chair and a light lunch for one representative. A fee of $10 is required for each additional representative. The last date to register for the expo is Feb. 4. Space is limited will be assigned on a first-come, first-serve basis. This item appears in the February issue of InMaricopa. 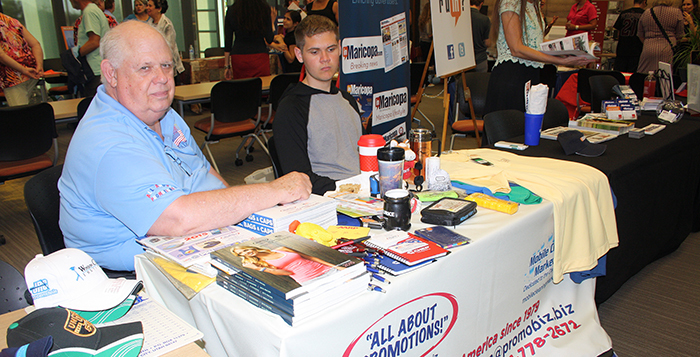 Central Arizona College invites organizations and businesses to participate in the fourth annual Job Expo hosted at the Maricopa campus, 17945 N. Regent Drive. The expo is Feb. 12 from 10 a.m. until 1 p.m. This annual event provides a unique opportunity for employers to have direct access to educated adult students. Employers are encouraged to register today to take advantage of the opportunity to find employees that possess the skills and latest education required to help their business run smoothly and efficiently. The last date to register for the expo is Feb. 4. Space is limited for this event and will be assigned on a first-come, first-serve basis. 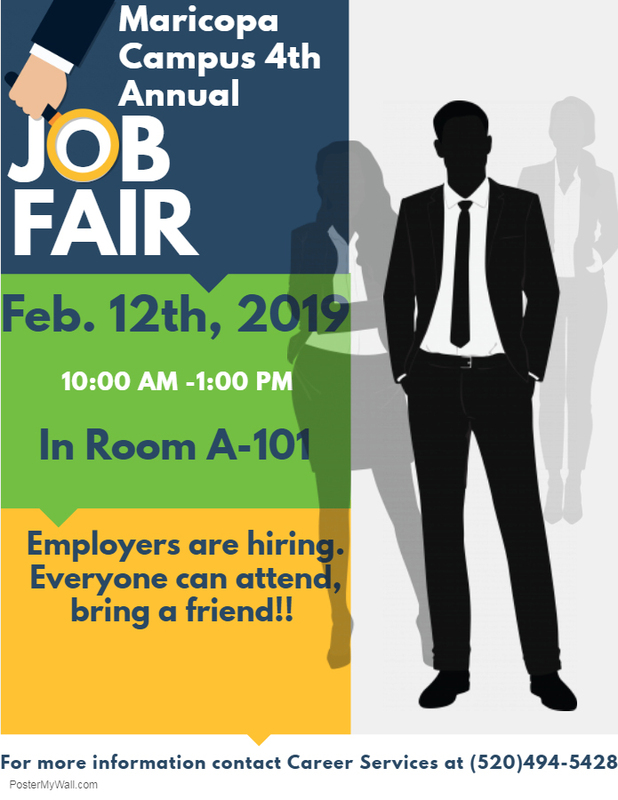 For more information on how to register for CAC’s Job Expo or to obtain a registration form, please contact Mitchell by phone at 520-494-5428, or by e-mail at ann.mitchell@centralaz.edu. The Central Arizona College (CAC) chapter of the National Society of Leadership & Success (NSLS) recently held its inaugural induction and awards ceremony, including 20 members from Maricopa and Stanfield. CAC’s Chapter of the NSLS was established in August 2018. By the end of the fall semester, 209 new members joined. Ninety-one students completed the program and received a Certificate of Leadership Training honoring their achievement and lifetime membership in the NSLS during the Dec. 6 ceremony. The NSLS is the nation’s largest leadership society with 950,000 members representing 700 universities and colleges nationwide. In addition to honoring excellence, the NSLS provides a systematic program for members to build their leadership skills through participation on their campus. To become an inducted member, students must follow a step-by-step program designed to build leadership skills through participation on campus. The first step is an orientation followed by a leadership training day where the students identify goals and their true passions to create actions steps for achieving their goals. The third and fourth steps include participation in three speaker broadcasts and three success networking team meetings. Following each meeting, they submit a reflective journal entry online. The final step is induction. The CAC NSLS members recognized nine CAC employees for their service to the campus and community. Honorary memberships were presented to Dr. Jenni Cardenas, Vice President for Student Services; Michelle Gomez, Academic Division Assistant; and Dr. Sandra Rath, Professor of Speech Communication. 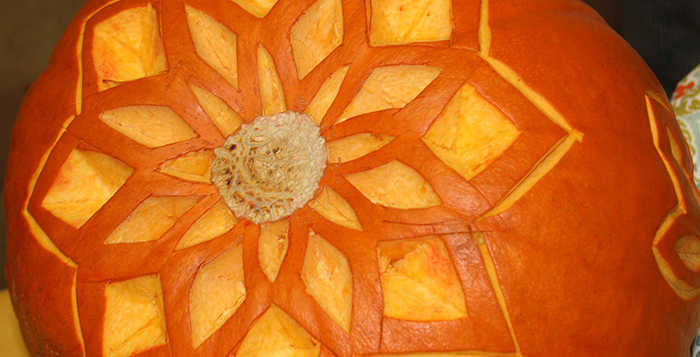 © 2013 Richard Schultz/Courtesy of 50 Eggs, Inc. In honor of Hispanic Heritage Month, Central Arizona College’s Phi Theta Kappa, Student Government Association, The Center for Cultural & Civic Engagement and The Visual and Performing Arts Division will host a special viewing of the documentary, Underwater Dreams. Underwater Dreams, narrated by Michael Peña, chronicles the story of how four Phoenix-area high school students, the sons of undocumented Mexican immigrants, learned how to build underwater robots and compete against MIT in the process. The viewings are free and open to community members, students and staff. 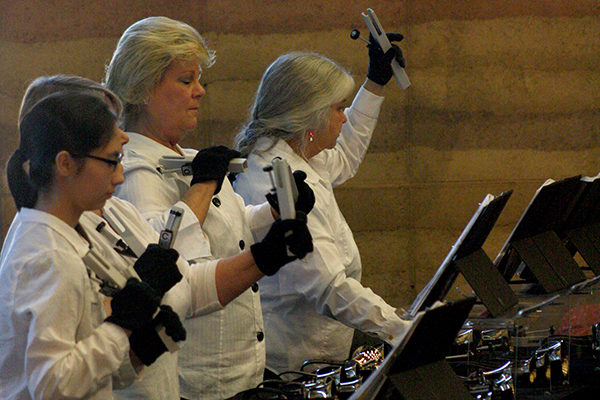 The local showing is Oct. 15, 3-5 p.m. in room A102 on the Maricopa campus, 17945 N. Regent Drive. Central Arizona College recognized the accomplishments of its graduates during a district commencement ceremony on Friday, May 11 at Casa Grande Union High School. Those earning degrees from five campuses, including Maricopa, were honored. Five of Central Arizona College’s outstanding students have been selected to the Phi Theta Kappa International Honor Society All-Arizona Academic Team. 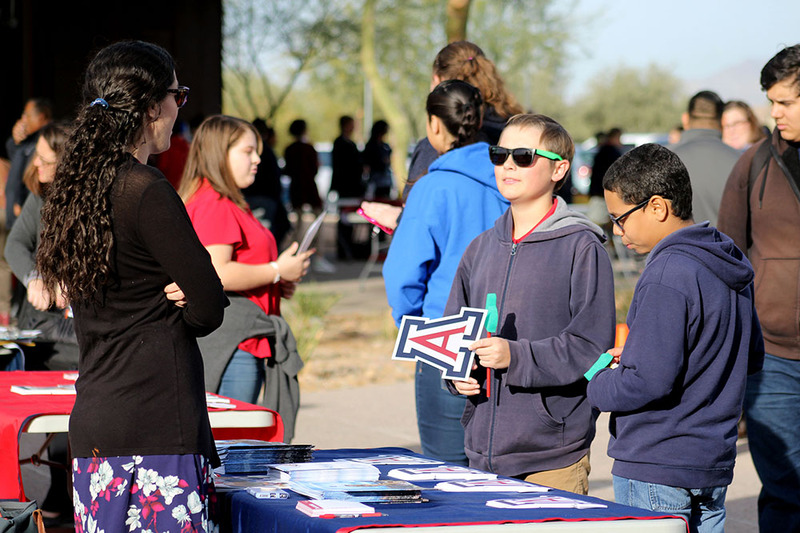 All-Arizona students demonstrate academic excellence and intellectual rigor combined with leadership and service that extends beyond the classroom to benefit society. Phi Theta Kappa, the American Association of Community Colleges, Arizona Community Colleges, the Arizona Board of Regents and the Follett Higher Education Group help these students reach their educational goals by awarding scholarships and issuing tuition waivers to any of Arizona’s three state universities: Arizona State University, Northern Arizona University or the University of Arizona. Holly Langan (San Tan Campus), Sofya Pangburn (Signal Peak Campus) and Berenice Pelayo (Superstition Mountain Campus) were awarded First Team honors and each received a $1,000 scholarship. 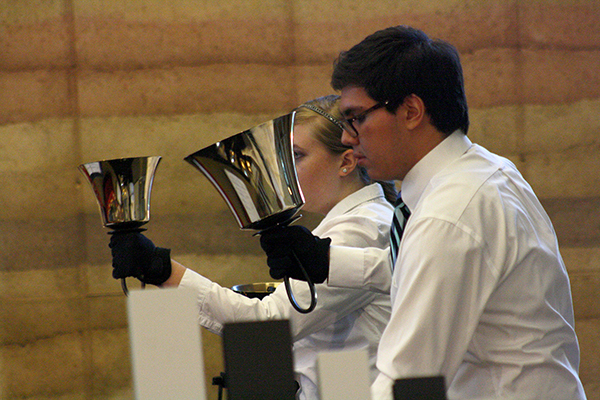 Matthew Fode (Aravaipa Campus) was named a Second Team member, receiving a $750 scholarship. 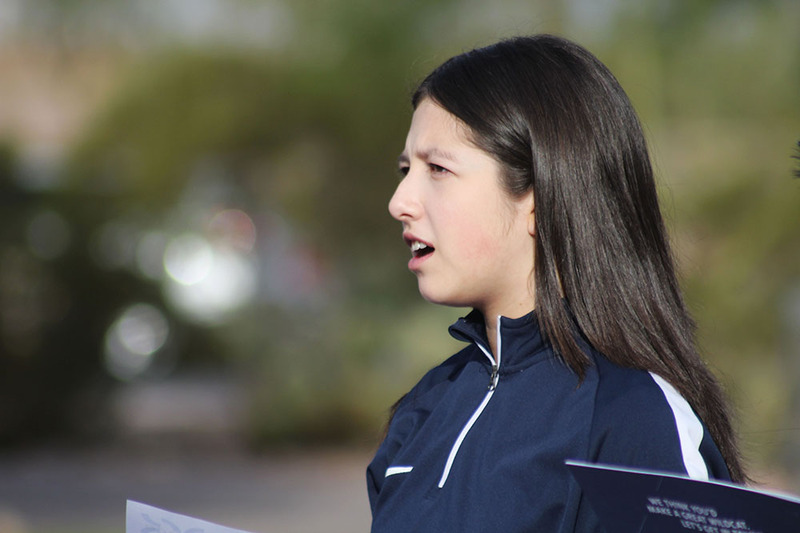 Jessica Cadena (Maricopa Campus) was chosen as a Third Team member and was granted a $500 scholarship. The awards were announced at the All-Arizona Academic Team Recognition Ceremony held at the Hilton Phoenix/Mesa on March 1. 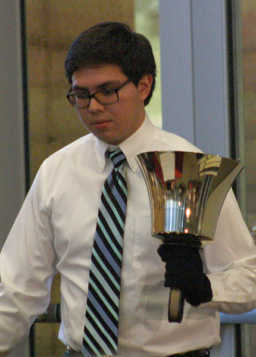 Langan plans to earn a bachelor’s degree in accounting from Arizona State University and become a managerial accountant. 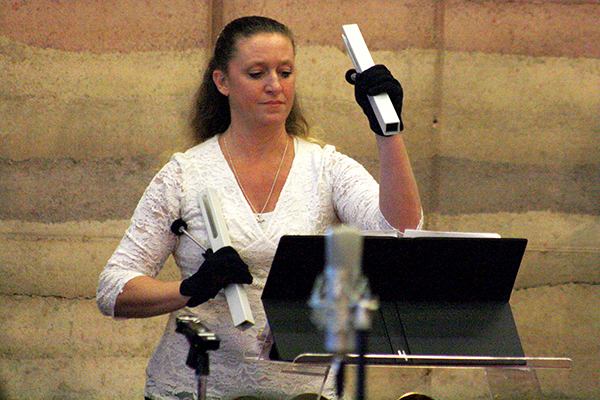 She is a member of Phi Theta Kappa and the Honors Program. 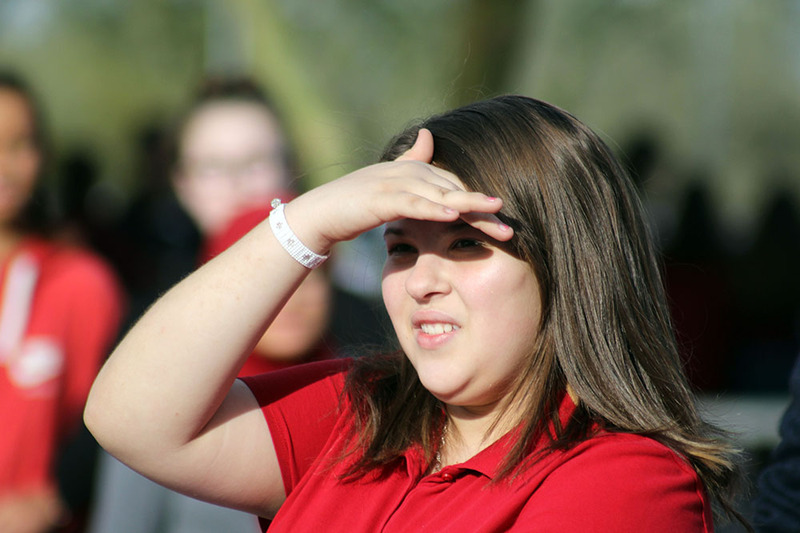 She has assisted with various college and community events such as the San Tan Valley Campus Fall Festival, Welcome Week activities, and the AJHS NJROTC Car Show. As a student, Pangburn has been involved at CAC as a tutor, a contributor to the CAC Cactus Newspaper, and as Student Government Campus Activities Director. She plans to earn a bachelor’s degree in global/international studies with a minor in political science from Arizona State University. She will use her education to pursue a career in the United States government as a political Foreign Service officer in order to support the United States with diplomacy abroad. 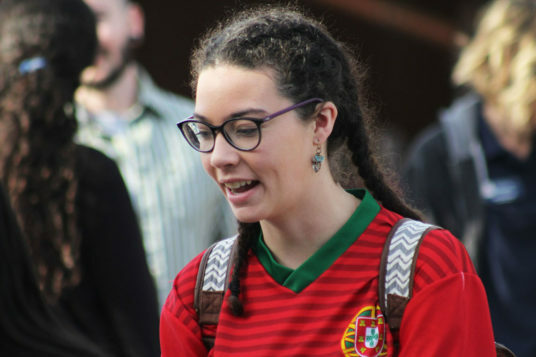 She is also considering furthering her education to the doctorate level in order to become a professor and continue to explore the world of academia. Pelayo plans to earn a bachelor’s degree in political science and global studies from Arizona State University and pursue a career within the U.S. Department of State as a Foreign Service officer. While at CAC, Pelayo served as a Phi Theta Kappa regional officer, Student Government Association vice president, book club officer and DREAMers club officer. Pelayo was named the Pecha Kucha Speaking Competition winner and received a China Exchange Program scholarship and a Positive Paths Scholarship. During his time at CAC, Fode has been involved with student government and Phi Theta Kappa. Additionally, he volunteers with the First Conservative Baptist Church of Mammoth and Mammoth Christian Youth Center Thrift Store. He was named outstanding Biological Sciences student, Outstanding Social Sciences student and is a Who’s Who Among Students recipient. Fode plans to earn his bachelor’s degree in physiology from the University of Arizona and become a doctor of chiropractic medicine. Cadena plans to transfer to the University of Arizona to earn a bachelor’s degree in nursing. Her goal is to become a labor and delivery nurse. She believes helping to bring new life into this world would be extraordinary. Cadena is a Phi Theta Kappa member and is on the college dean’s list. 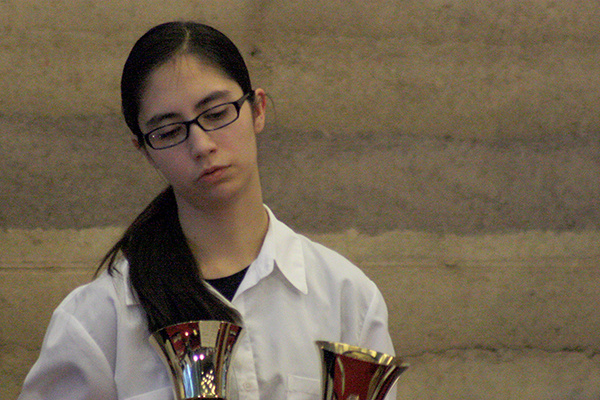 She is also active in young adult ministry outreach events in her community. 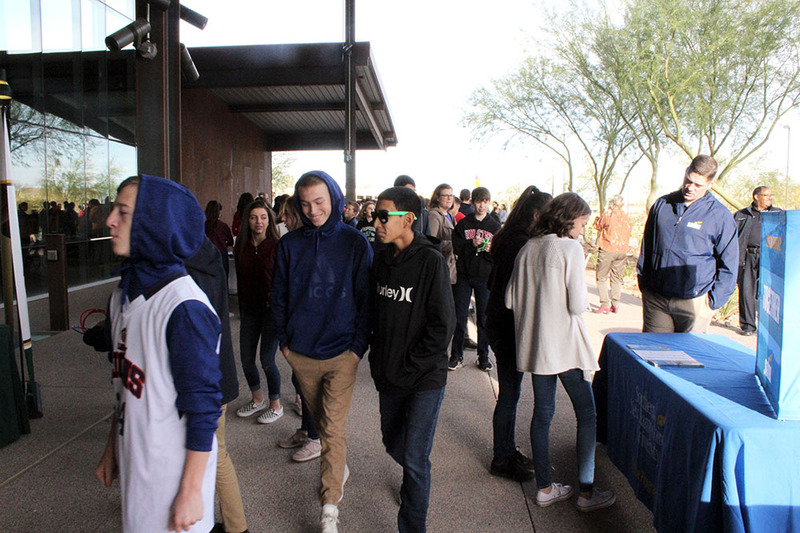 Local high school students toured the Central Arizona College Maricopa Campus Tuesday morning and shopped various collegiate booths. 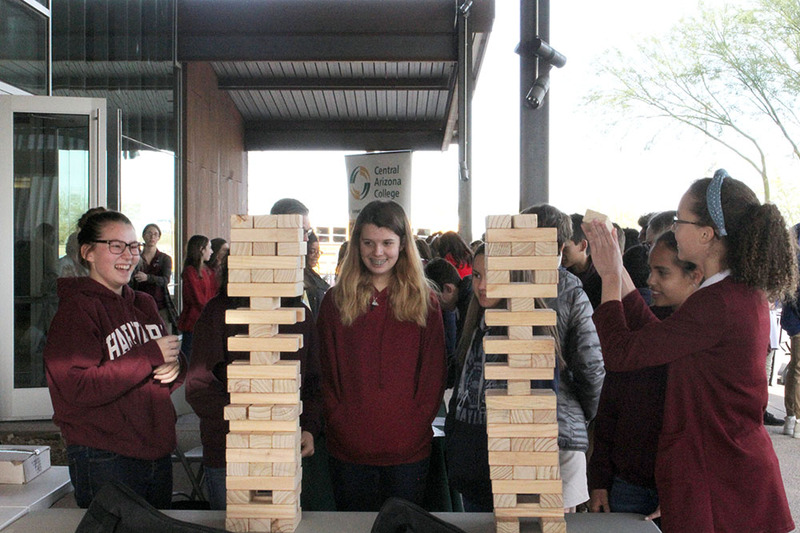 The event was part of CAC’s 2018 college fair and also featured live DJ music, a photo booth, games and cotton candy. 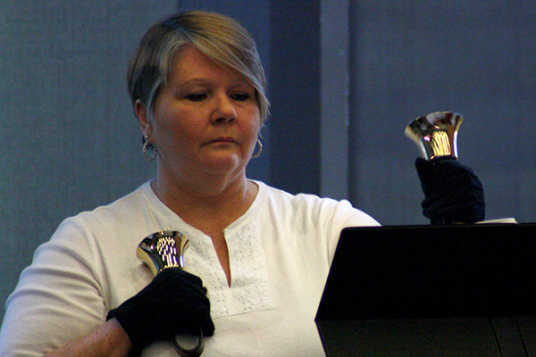 Central Arizona College’s Handbell Choir, led by Diane Rubio, performed Christmas favorites at the Maricopa campus Sunday. 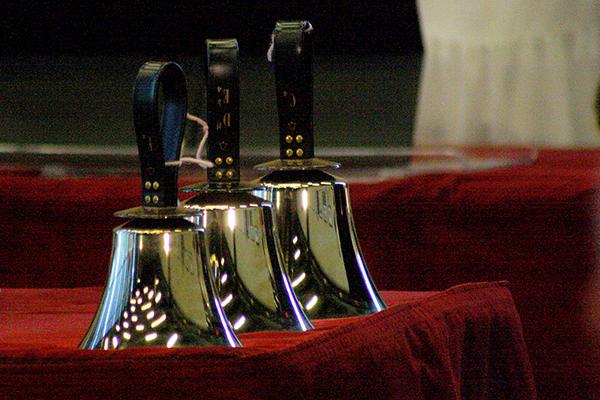 Rubio and the ringers took questions from the audience about their skills and the bells. 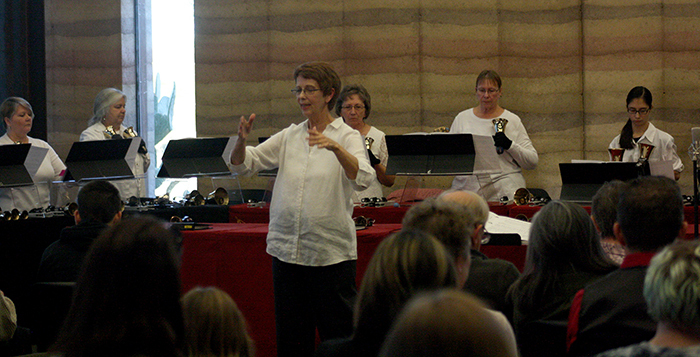 The ringers class meets Mondays at the Signal Peak campus from 5:30 to 7:30 p.m. and is open to CAC students and Pinal County residents. 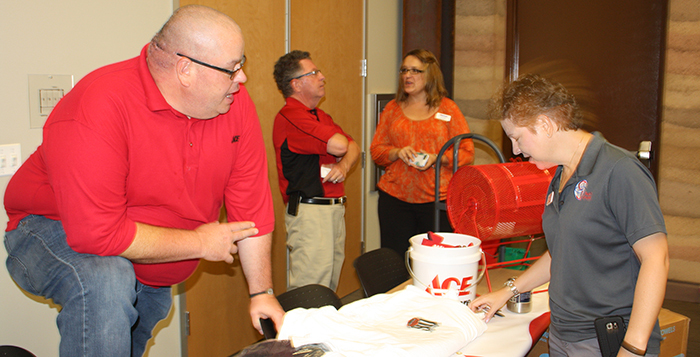 CAC President Jacquelyn Elliott, Ed.D., was at a welcome reception at the Maricopa Campus Thursday. 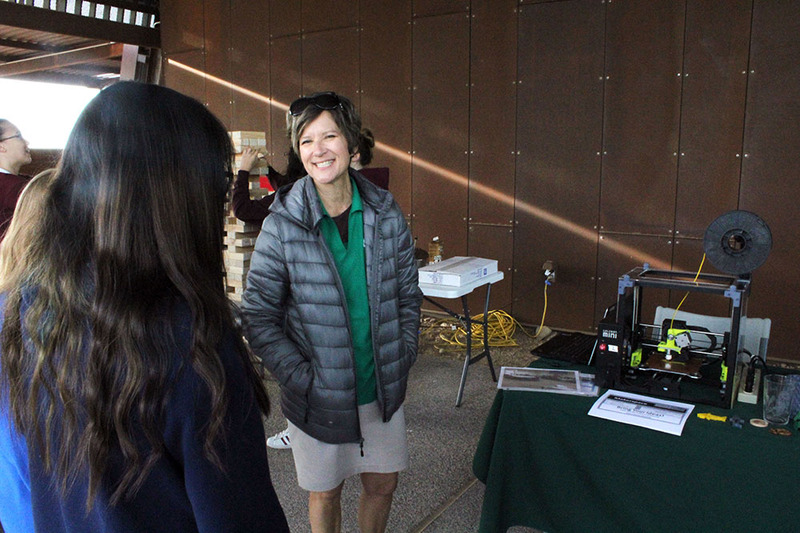 Jacquelyn Elliott, newly appointed president of Central Arizona College, met with leaders and members of the community on Thursday at her welcome reception on Maricopa’s campus. 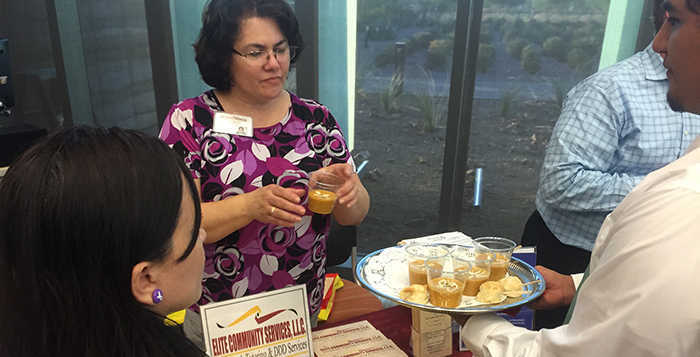 The reception was the first in a series as Elliott visits all of CAC’s campuses in order to establish relationships with local elected officials and governing board members in more intimate gatherings. The reception allowed for attendees to pose questions to the new president. Elliott said she’s finishing up a strategic plan, while continuing to get to know the community. She views strategic planning as a way to develop metrics that have useful meaning to drive efforts to add the most value and return on investment to the community. Maricopa Campus Dean Janice Pratt said Elliott is great at meeting with businesses and economic developers. “In that way, she’s head and shoulders above the other presidents,” Pratt said. The government, Elliott said, can help determine the mix of academic offerings needed on campus. “We need to have the whole program mirror the first two years of ASU,” Elliott said. Elliott addressed the need to focus the efforts of the campus, likening the available options to a Cheesecake Factory menu — overwhelming. Elliott said her goal is to help each campus find its distinctiveness and focus on that. “We need to develop a Chipotle menu,” she said. Elliott said she was drawn to CAC because she wanted to work at a predominately Hispanic-serving organization, in order to give back. As a minority—she is half Native American—Elliott said she is a product of the Federal TRiO Upward Bound Program, which helps low-income, first-generation degree-seeking students obtain a college education. 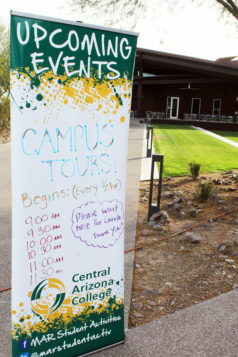 With a campus in Maricopa, Central Arizona College needed a Maricopa representative on its governing board, according to Dan Miller. That was one of the reasons Miller, an engineer for the consulting firm Genesis Solutions, decided to put his name into contention for the vacant and contentious District 4 seat. The two previous holders of the seat resigned. After a six-member committee reviewed applications and recommended him, Miller was appointed to the board by Pinal County Superintendent of Schools Jill Broussard. She said the committee was comprised of a CAC professor, a nonprofit executive, a local business person, an elementary school board member, a school district superintendent and a pastor. Miller was sworn in May 11. Workforce development is one of his priorities. 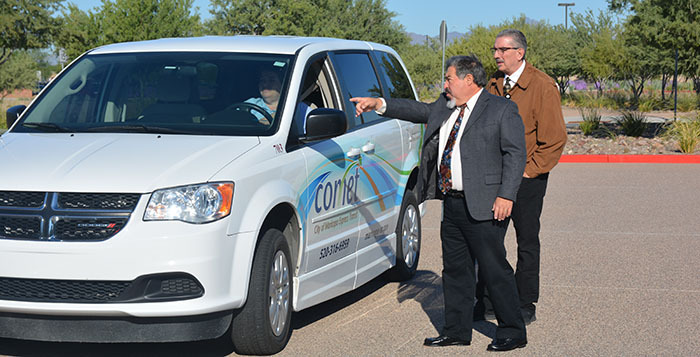 Also the owner of a small business in Maricopa, Digital Dan Photography, and a member of the board of the United Way of Pinal County, Miller said he considers CAC to be one of the county’s major resources. The college has new buildings on several campuses and could be utilized more by the public, he said. CAC can deliver two years of college for an associate’s degree or as a pathway to university, but Miller said its role in workforce development is just as important. Miller was in the Navy for 18 years. During that time he earned bachelor’s and master’s degrees. He has developed training materials for Fortune 500 firms and has specialized in asset management. He said he feels he brings a skill set to the CAC board in both management and educational training that will be useful. One of his early tasks may be smoothing some feathers. Miller comes into a position that has been the source of a lot of political drama over the past year. After the CAC board voted to raise its tax rate, a group headed by Garland Shreves gathered enough signatures to force a recall election of long-time board member Rita Nader of Casa Grande. She resigned instead, and Broussard appointed Richard Cassalata of Arizona City. 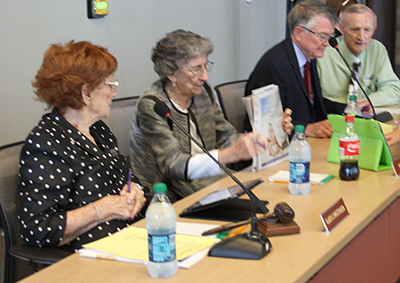 Cassalata quickly crossed swords with Board Chair Gladys Christensen, faculty and staff. He resigned in early April, leaving the District 4 seat open again. Miller noted the tax rate that ignited all the drama and wants to see where the college can do a better job in how it uses its funding. “I want to look into system efficiencies and processes to see what we can do without sacrificing the experiences of the students and faculty,” Miller said. His appointment applies until the end of the year. He intends to run for the position he now holds in the General Election in November. Maricopa High School announced an additional Central Arizona College dual enrollment class will be offered for 2016-17. The new class will be General Biology I. Four CAC dual enrollment classes were offered in 2015-16. These classes are taught by MHS faculty who qualify to teach college level classes. Students can take the course for high school credit only, or for high school and college credit. CAC’s summer sessions for free tuition and fees. The only cost a student would incur would be for books and transportation. 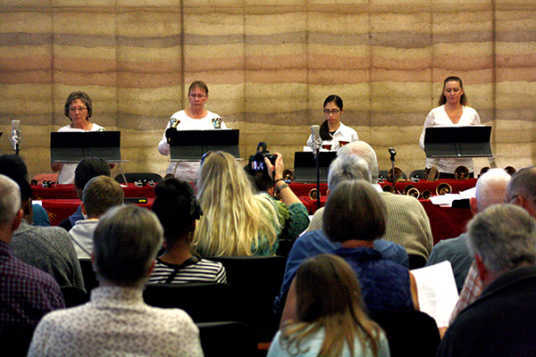 For more details on the program, summer course offerings, and the steps to enroll in the program, please visit us atwww.centralaz.edu/firststep. 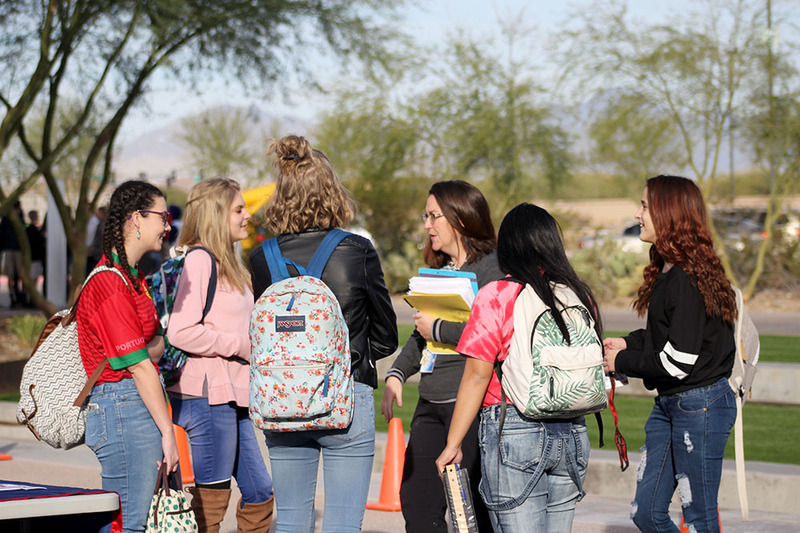 The Early College program provides an opportunity for Pinal County high school students who are in their junior or senior years, to take up to five college credit hours, during CAC’s fall and spring sessions for free tuition and fees. The only cost a student would incur would be for books and transportation. For more details on the program, fall course offerings, and the steps to enroll in the program, please visit us at www.centralaz.edu/earlycollege. CAC is also offering recent high school graduates, beginning with the class of 2014, and GED recipients an opportunity to experience life as a college student this summer. Summer Bridge will take place Aug. 14-18 at the CAC Signal Peak Campus. Summer Bridge is a free five-day extended orientation to college. During Summer Bridge, students learn valuable skills in time-management, health and wellness, financial management and money matters, decision making, and many other topics crucial to success in college. Students live on-campus in CAC’s residential halls, and are provided meals and all learning materials throughout the program. 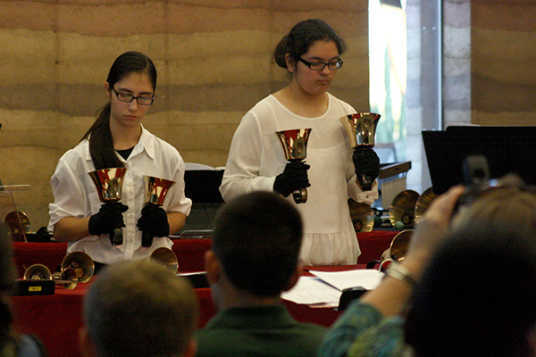 The TRIO Summer Bridge program is the only all-inclusive residential college orientation program held in Arizona. The governing board of Central Arizona College voted to offer Jacquelyn Elliott the job of college president during a special meeting Tuesday. The board held two executive sessions on the matter. Elliott was the only finalist for the post. Doris Helmich is retiring June 30 after serving as the CAC president four years. During its first closed session Tuesday, the board reviewed the public survey input received from the public forums throughout the county April 25-27. A vote was made to enter into contract negotiation with Elliott. During a second executive session, the board extended an employment offer and upon returning to the general meeting named Elliott as the next CAC president/CEO. Elliott has more than 27 years of experience working in higher education, specifically in senior level administrative and leadership positions at the community college level. She has served as president of North Arkansas College (Northark) since 2011. During her time at Northark the College’s reserves increased from $11 million to $16 million and Annual Foundation Contributions grew. Northark was named a “Great College to Work For” by the Chronicle of Higher Education in 2013. Elliott is a Board of Trustees member for the Higher Learning Commission, co-chair of the Arkansas Department of Higher Education’s Master Plan Development Committee and member of the Governor’s Task Force for Redesign of Arkansas Higher Education Funding. 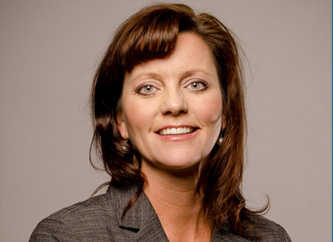 Jacquelyn Elliott is the only finalist for the job of new president of Central Arizona College. 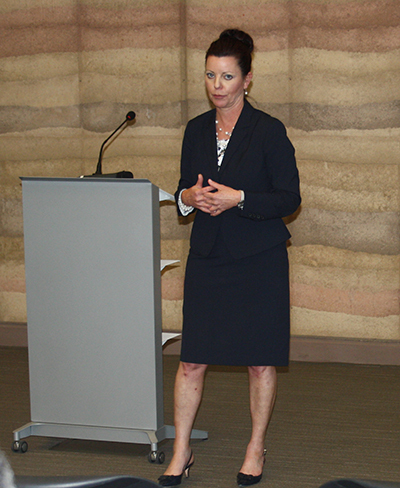 She took questions from an audience of about a dozen people on the Maricopa campus last week. Tuesday, the board of governors will discuss offering her the job during a special meeting. The process of hiring a president began in October. That was after Doris Helmich announced her retirement in a contentious year that saw the board raise its tax rate and a board member resign before facing a recall election. She said community colleges need to return to the focus of community education and workforce training. “There’s a difference between being everything to everybody versus being what you are supposed to be,” she said. Elliott has been president of North Arkansas College in Harrison since 2011 and retains a soft, south-Midwest accent. She was previously vice president of student affairs at Northern Missouri State University in Maryville. She has also taught at colleges and universities in Kansas and Nebraska, starting in 1990. She said community colleges have different needs based on the populations they serve, and campuses within a college have different needs. “I think there is a unique opportunity for each campus to distinguish itself to be a center for excellence for the needs of that community,” Elliott said. Maricopa Unified School District Superintendent Steve Chestnut said he was impressed with Elliott after questioning her on the future of CAC’s relationship with Pinal County K-12 districts. Elliott said Chestnut was the only superintendent to attend one of her meet-and-greets. In Arkansas, she said, the college had an agreement with the local high school to give enrollment applications to all graduating seniors. She said many students do not consider themselves college material and don’t even think about trying to enroll until it is in front of them. She said she is also a fan of working with four-year institutions with “articulation agreements” in helping students earn a bachelor’s degree. Her completion agenda is not only to get more students enrolled but to also move them through to a completed degree or certificate. “We as a profession have not done a good job of that,” she said. Jacquelyn Elliott is the finalist for the next president of Central Arizona College. During a special Governing Board meeting on April 13, the Pinal County Community College District Board of Governors announced Jacquelyn “Jackie” Elliott, PhD, as the final candidate of the Central Arizona College presidential search. The Board of Governors will host a series of forums at its campuses for a public reception and a chance for community members, staff and students to meet Elliott. The Maricopa Campus at 17945 North Regent Drive is the venue of the final reception. That is scheduled for April 27 from 1:45 to 3 p.m. in Room A-101. Elliott has more than 27 years of experience working in higher education, specifically administrative and leadership positions at the community college. For the past five years, she has served as president of North Arkansas College (Northark). Dr. Elliott’s bio along with a taped version of the search committee interview may be viewed online at www.centralaz.edu/presidentsearch. CAC’s previous president, Doris Helmich, announced her retirement in October in the middle of a political battle with a group of voters angry over the board’s decision to raise the tax rate. Want to be on the college board? Apply for an appointment by April 29 if you live in District 4. District 4 needs help at Central Arizona College. After the resignation of Rita Nader, who faced recall in the wake of college tax hike, Richard Cassalata of Arizona City was appointed to her District 4 seat on the CAC Governing Board by Pinal County School Superintendent Jill Brussard in January. 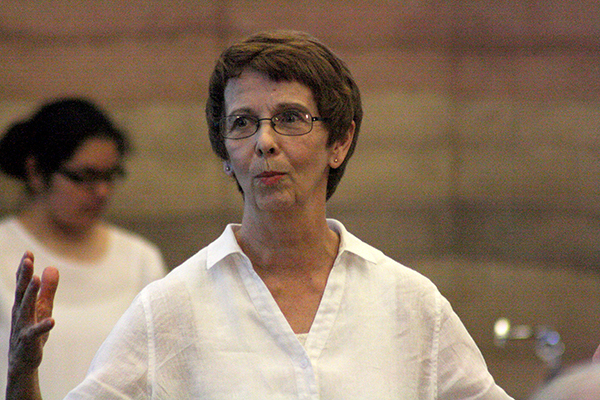 Cassalata quickly became embroiled in controversy among college faculty, staff and other members of the board, particularly Board President Gladys Christensen. He resigned last week. Now the District 4 vacancy is being advertised again. The term lasts only through December. The seat is on the ballot in the November General Election and also needs candidates. Brenda Katterman, administrative clerk in the county superintendent’s office, said there have been inquiries about the vacancy but no applicants yet. Applications for the appointment to the vacancy are due April 29 by 5 p.m. Applicants may not be employees of the college or members of another school board. Applications are online at http://www.ecrsc.org/pinalesa/elections/board-member-vacancies. The application can be completed online, but it must be printed out, signed and notarized, and the original must be received by the deadline. Contact Brenda Katterman at 520-866-6565, bkatterman@pinalsco.org or Pinal County School Superintendent’s Office, P.O. Box 769, Florence AZ 85132. 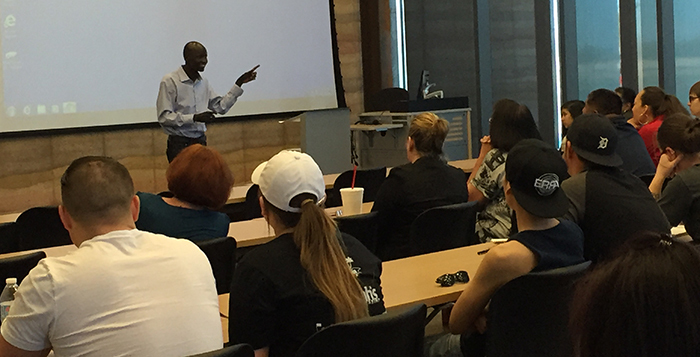 Jany Deng, former “Lost Boy” from Sudan, came to Central Arizona College Wednesday afternoon to share his story of adversity and triumph, and to educate students on what a refugee goes through when waiting for relocation. His presentation was part of a Lunch and Learn program on the Maricopa campus. Deng was 7 years old when the Sudanese civil war forced him to flee his village and trek to Ethiopia. 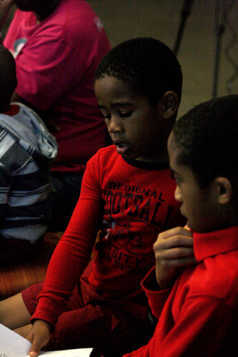 He joined approximately 500 other children on a journey to find refuge in the neighboring country. However, due to starvation, disease, militants and predators, only 20 of the 500 children he left with made it to Ethiopia. After three months of surviving the elements, Deng made it to Ethiopia. His problems weren’t solved, though, as a civil war broke out in Ethiopia, and the “Lost Boys” were forced to seek refuge again. The majority of the boys ended up in Kenya. From there, the United Nations got involved and tried to relocate as many of the boys as they could. The “Lost Boys” were scattered across the globe. Some went to Australia and Europe while others ended up in the United States. Deng and his brother were sent to Phoenix. Deng was placed with a foster family while his brother, who was over 18, was placed in the workforce. Like many of the boys from Sudan, the trauma proved to be too much for Deng’s brother. An altercation with police led to his death. Since this event, Deng has dedicated his life to helping Sudanese refugees through the trauma. His organization, Lost Boys Center for Leadership Development, assists refugees with assimilation into society and promotes the value of an education. Deng received a bachelor’s degree in business from Arizona State University and is working on his MBA. He has made one trip back to Sudan, but another civil war has prevented further trips. 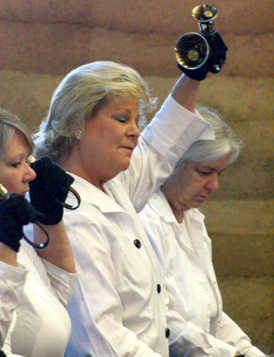 To learn more about the Lost Boys Center for Leadership Development, visit http://www.lbcld.org. Maricopa's Laura Walsh will perform in concert at Central Arizona College on Thursday. She earned a spot in Hollywood Week on this season of "American Idol." Local recording artist and “American Idol” hopeful Laura Walsh will headline a concert at Central Arizona College’s Maricopa campus this Thursday night. Walsh has recently found success on FOX’s long running reality show “American Idol,” and she has been a consistent figure in Maricopa celebrations such as “Battle of the Burbs.” However, this will be her first time headlining an event. Doors will open in the “A Building” on campus at 7 p.m. for the event, and the concert is expected to last until 8:30 p.m. The event will cost $7 for public admission but is free to CAC students who present a valid school ID card. Students hoping to go will need to reserve their tickets ahead of time. An opening act is expected to take the stage at 7 p.m., but no performer has been announced at this time. 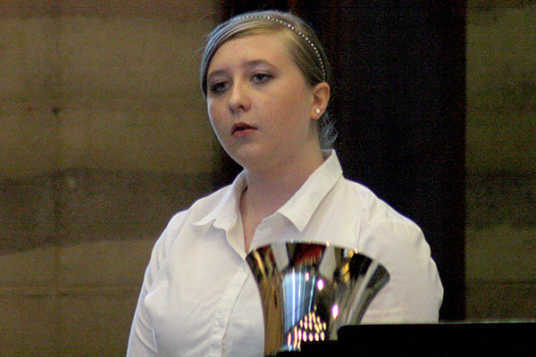 Having aced her “American Idol” audition in Denver, Walsh will compete during “Hollywood Week,” Jan. 27-28. Central Arizona College's Promise for the Future program offers two years of tuition free education to Pinal County high school graduates if they sign up in eighth grade. Central Arizona College is offering graduates of Pinal County schools two free years of college if they participated in the “Promise for the Future” scholarship program. 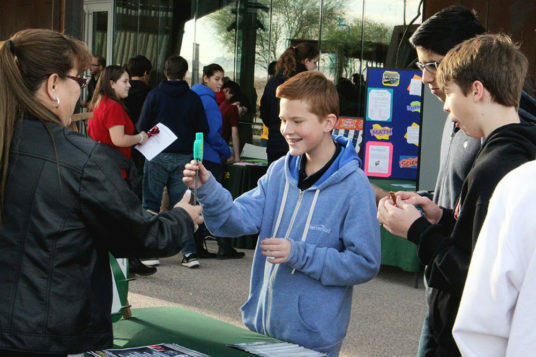 The program is offered to eighth grade students and provides them two free years of classes at CAC if they sign the program’s contract, keep a GPA of 2.75 or higher, and graduate from a high school within Pinal County. Students who sign the contract but move to a high school outside of Pinal County are no longer eligible. According to Maricopa Unified School District Superintendent Steve Chestnut, the estimated value of the scholarship is $5,904. He hopes the prospect of earning two years’ worth of college at no charge is enough to entice more students to remain in the district. Each year, hundreds of Maricopa students are bused to Tempe and Ahwatukee school districts. There are “A” districts within these cities, and the districts have been seen as better over the years. However, Maricopa has been steadily improving. Partnerships with CAC have provided more dual credit courses and more advanced placement classes. The rising number of enrollment at MHS is also encouraging. The 2015-16 school year is set to break enrollment records, and more expected next year. According to Chestnut, the number of students in the incoming freshman class rose from 492 eighth grade students at the end of last year to 545 ninth graders currently enrolled at MHS. More students are expected to return to MUSD from Kyrene and Tempe school districts as the district keeps improving. Twenty-seven Central Arizona College students were recognized for completing the college’s nursing program during the 51st Nursing Division Pinning Ceremony held at the Signal Peak Campus on Dec. 3. The pinning ceremony, a time-honored tradition of nursing schools across the country, signifies a student’s completion of one of the most challenging curricula offered in higher education. Once the graduates received their pins, class speaker Dee Dee Long addressed her fellow graduates. She shared an overview of the experiences the class had during their time in nursing school and explained that the students completed 720 clinical hours. Additionally, awards were given to a select few graduates. Dee Dee Long was recognized with the Outstanding Achievement Award, Rebecca Andrus earned the program’s Leadership Award and Katarina Della Cioppa was presented with the Outstanding Clinician Award. The evening concluded with a candle lighting ceremony and the graduates taking the Florence Nightingale Pledge. The pledge, an adaption of the physician’s Hippocratic Oath, was written in 1893 by Mrs. Lystra E. Gretter and the Farrand Training School for Nurses in Detroit. The following students received their pins during the ceremony and will receive an associate of applied science degree: Taralyn Adakai, Rebecca Andrus, Theresa Berger, Cara Bingham, Debbie Birt, Tabitha Blixt, Nicole Block, Sandra Bonillas, Jacklyn Busby, Katarina Della Cioppa, Amanda Fallis, Pamela Gertz, Dominic Jansson, Brienna Johnson, Heather Jones, Dee Dee Long, Miranda Lucero, Hayley McCleve, Ximena Montes, Benjamin Pero, Allison Poe, Pamala Rodriguez, Blair Sepulveda, Jacinta Spence, Jessica Todd, AuDrea Watson and Michelle Wilkie. 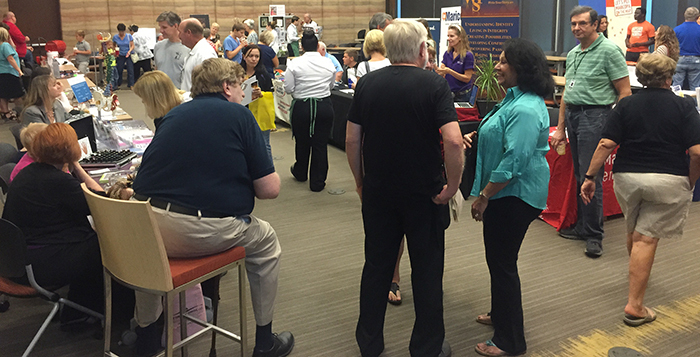 This year’s Business to Business Expo (B2B) moved to a new location and had a full house Tuesday. Dan Beach, director of Maricopa Center for Entrepreneurship, said organizers sold out the 50 available booth spaces at Central Arizona College. 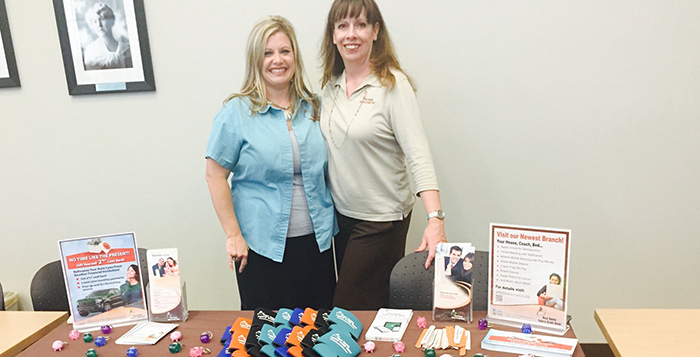 Co-sponsored by MCE, CAC and Maricopa Chamber of Commerce, B2B was a chance for local businesses and organizations to promote themselves. The room in the A building at CAC included stores, artists, services and nonprofits. 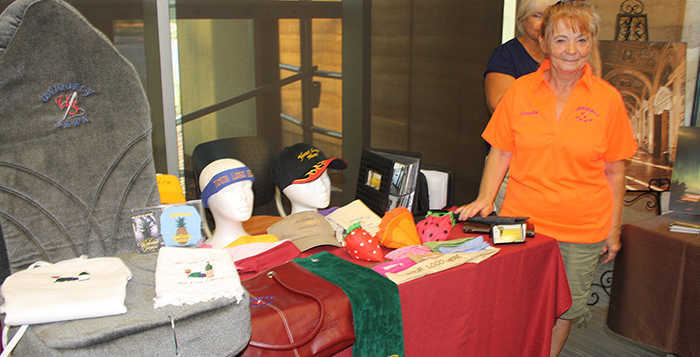 “We have a lot of home-based businesses in Maricopa, and they don’t get a lot of opportunities to get out and network and meet clients,” Beach said. New business owners and businesses without storefronts had a rare chance to make connections. That included Debbie Everett of Haven House, who used B2B to spread the word about her new residential assisted-living facility. 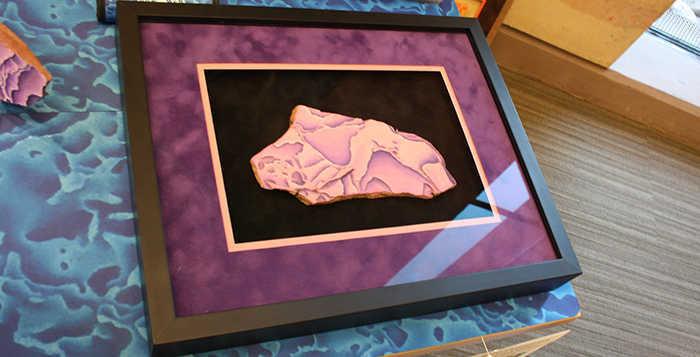 Lisa and Thomas Herschbach showed off her flagstone abstract art and his Arizona gemstones. 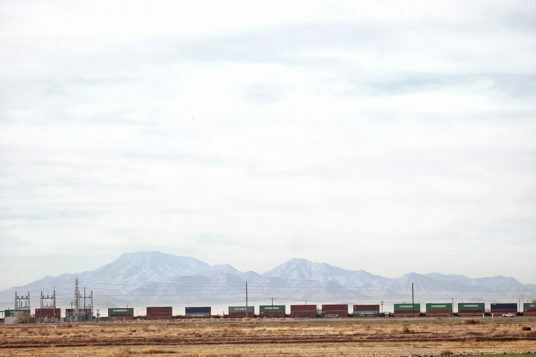 “It’s all about businesses finding clients and potential clients,” Beach said. 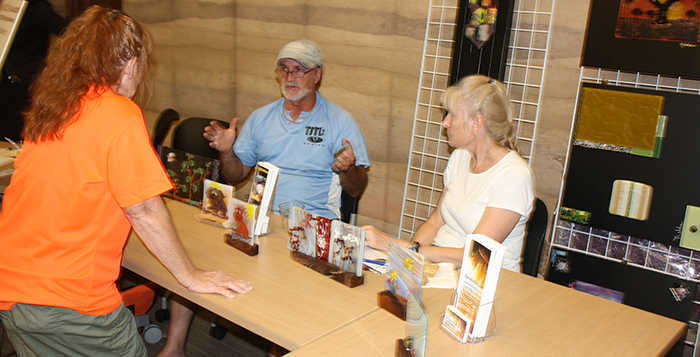 Well established business owners like Mike Richey of Ace Hardware, Glenda Kelley of Uniquely Sewn and Jim Burgess of All About Promotions also participated with attention-grabbing tables. The expo had several artists who will also be displaying and selling at the Art on the Veranda event at the Duke Golf Course Nov. 7-8. 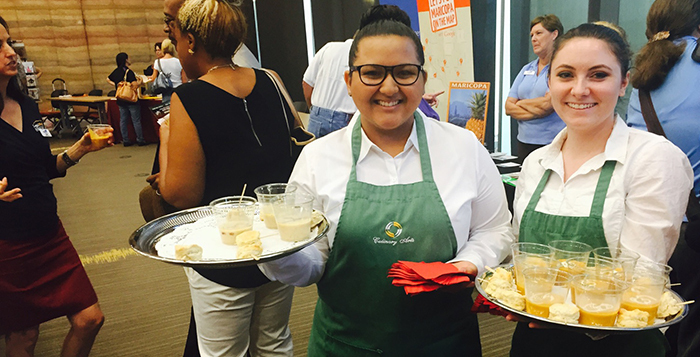 The CAC Culinary Department, headed by chef Diane Hernandez, provided appetizers and desserts to give students a service opportunity. 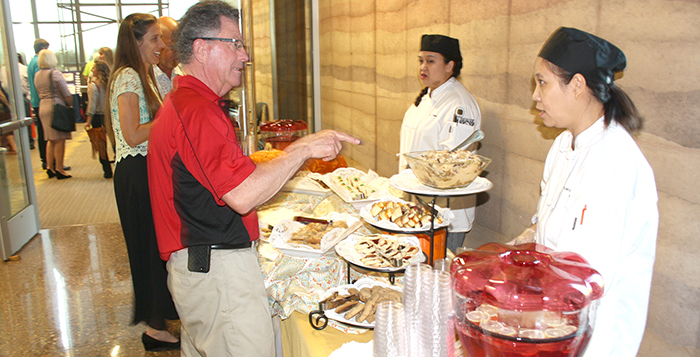 Ace's Mike Richey asks about the desserts. District 4’s representative on the Central Arizona College Board of Governors could be in trouble. Rita Nader has been the target of a citizens group since she was among the majority who voted for a raise in the college tax rate this summer. Now Garland Shreves, organizer of Citizens for Fair Taxation, says his group has collected enough signatures to force her ouster. 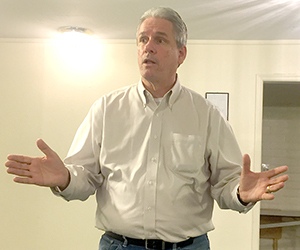 “We actually have 15 percent over the required number of signatures for recall, and that should be enough cushion,” Shreves said at a meeting he hosted in Maricopa Thursday. Ever since district boundaries were redrawn to match Board of Supervisor districts, Nader has not been a resident of the district she represents. 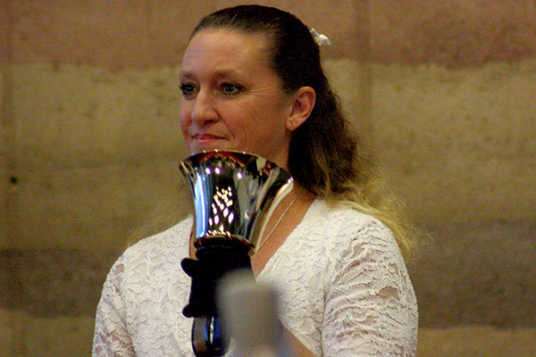 She lives in Casa Grande and was allowed to fulfill her term, which ends in 2016. Nader has been on the board since 1993. A retired junior high teacher, she was one of three members who voted to set the CAC tax rate at $2.30 per $100 of net assessed valuation at a June meeting. The board members have said more funding is needed to repair old buildings and maintain its facilities. CAC has seen a reduction of 80 percent in state funding over the past nine years and has received no capital funding since 2008. Capital funds are used for new construction and renovation of facilities. After a college tax increase in 2013, a recall effort was started against Nader, but petitioners missed the deadline. Nader was not available for comment. Shreves is suing the college board over alleged open meeting violations. Though initial opinion from the state Attorney General’s office found no such violation occurred, Shreves said he requested the AG exercise due diligence in looking at all the information he wanted to give investigators. That could result in a follow-up opinion. Shreves said CFFT is “within a hair’s breadth” of having enough signatures to force a recall of Board President Gladys Christensen of District 1. Her term expires in 2018. CFFT also seeks to recall Jack Yarrington and Rick Gibson. Nader’s recall requires the fewest number of signatures (1,326) of all the targeted board members. Petitions are due Sept. 24. If the number of verified signatures is reached, and Nader does not resign, Pinal County Recorder Virginia Ross would set an election date, possibly as early as March. 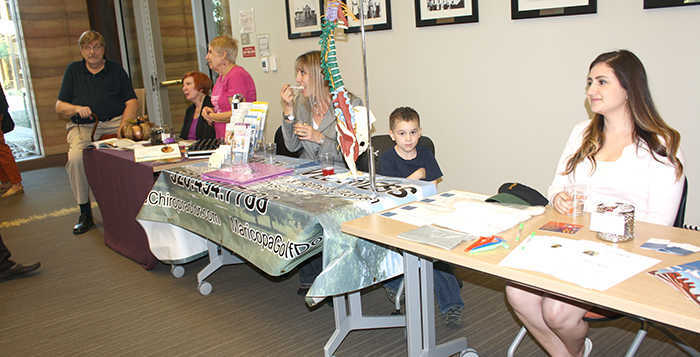 Thursday’s gathering at the Copa Center was the second meeting CFFT has hosted in Maricopa. Shreves said in recalling and replacing board members, he hopes to effect the dismissal of college President Doris Helmich and Vice President Chris Wodka. 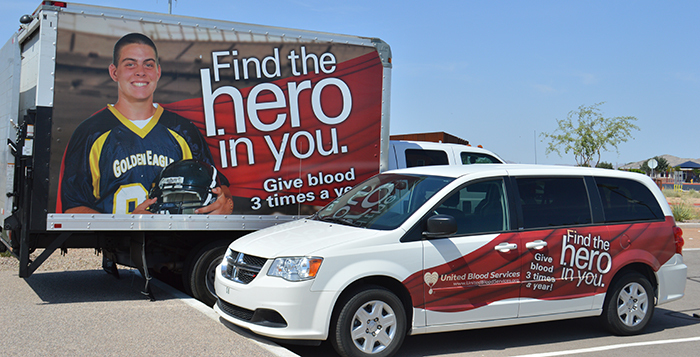 The Student Leadership Organization of Central Arizona College hosted its inaugural blood drive on the Maricopa Campus today. Dozens of students showed up to donate blood between classes, and the four-man crew working the donation center had a steady flow of people throughout the morning. Students who donated blood were also rewarded with discounts to Whataburger and a chance to win a 2015 Volkswagen Golf (donated by local Valley Volkswagen dealers). The SLOCAC is hoping to make the blood drive an annual event. Judging by the turnout for this year’s drive, hosting this event each year could be a significant possibility. Other events going on around CAC on Wednesday include a selfie scavenger hunt lasting from 8 a.m. to 6 p.m. to help students learn where things are on campus, and a “Show Me the Money” workshop from 10 a.m. to 4 p.m. to provide students with information regarding financial aid and career services. These events will take place again on Thursday as well. The SLOCAC will also be hosting a Popsicle social from 11 a.m. to 2 p.m. on Thursday. All students are encouraged to stop by and grab a cold treat and meet other members of the student body. 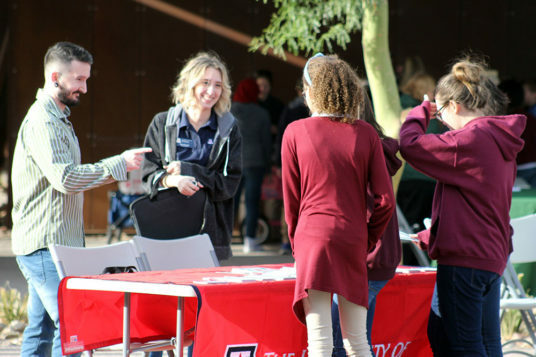 The Student Leadership Organization of Central Arizona College at the Maricopa campus set up a barbecue for students to have a free meal and socialize between classes. The free meal provided students with a break, even if just for a moment, in their busy day. Students who had time stopped and relaxed while they enjoyed their food, while others were able to grab a hot dog in passing. Either way, they were offered a free meal and music to break up their day. Campus leadership also set up volleyball nets for students who wanted to be active between classes. However, the triple-digit temperature kept physical exertion to a minimum. 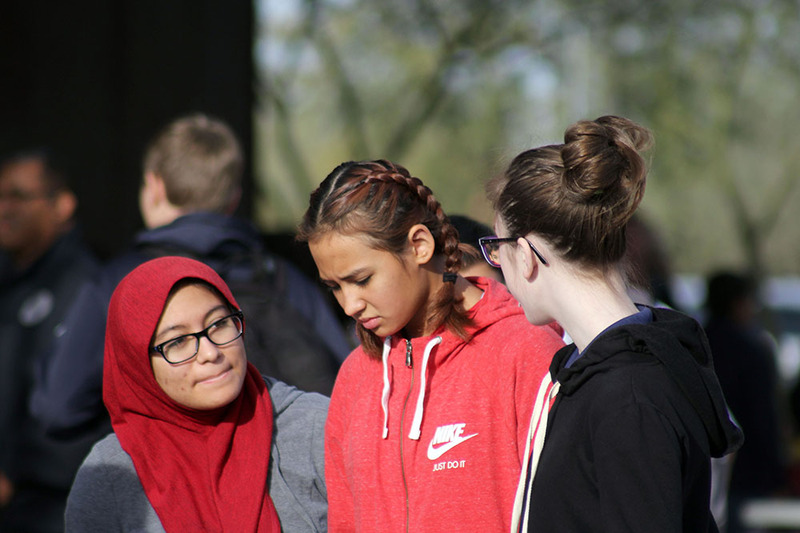 “We’re just trying to get students more involved and make students feel comfortable and get them to interact with each other,” SLOCAC member Cathlyn Hernandez said. 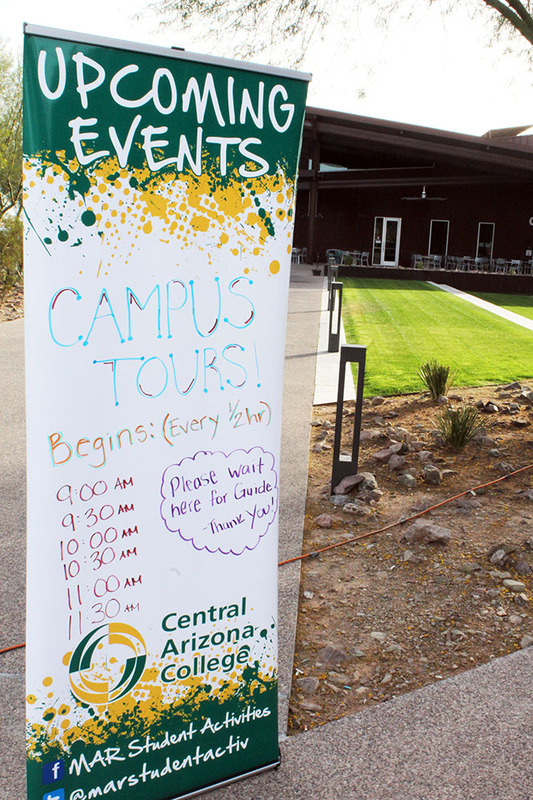 Central Arizona College is hosting multiple events on the Maricopa campus this week. These events include a blood drive on Wednesday, and a scavenger hunt and Popsicle social on Thursday. The SLOCAC will also be hosting various events throughout the year, including a ceremony for veterans and a retreat to Prescott.